I have come to light the lamp of love in your hearts, to see that it shines day by day with added lustre. I have not come to speak on behalf of any particular Dharma (religion), like Hinduism. I have not come on any mission of publicity for any sect or creed or cause; nor have I come to collect followers for any doctrine. I have no plan to attract disciples or devotees into My fold or any fold. I have come to tell you of this Universal unitary faith, this Atmic principle (principle of the Spirit), this path of love. Bhagawan’s Discourse on 4th July 1968 in Nairobi, Kenya. The Sri Sathya Sai Seva Organisation was founded in the 1960s by Bhagawan Sri Sathya Sai Baba to enable its members to undertake service activities as a means to spiritual advancement. The Sathya Sai Organisation derives inspiration, guidance and strength from Bhagawan Baba’s mission and message of propagating the truth of man’s inherent divinity, which is proclaimed and preached by all religions of the world. In consonance with this truth, the Organisation has as its main objective selfless love and service without any distinction of religion, nationality, race, socioeconomic status, either for those who work in the Organisation or for those who are served by them. Thus, it transcends all barriers, leading humanity towards the ideal of ‘Fatherhood of God and Brotherhood of Man’. In fact, this spiritual basis enables everyone in the Organisation to pursue his own religion better by putting its teachings into practice by way of love and service to the God who dwells in all hearts. That is why the Sai Organisation features in its emblem the symbols of some of the major religions of the world. There is no fee or subscription for membership. 30th June 1968 will go down in the annals as a Golden Historic day when the Divine Lotus Feet of Bhagwan Sri Sathya Sai Baba descended upon the Kenyan soil at the old Embakasi airport. The lawns outside the main airport buildings were turned into Darshan grounds and Kenyans along with East Africans were granted the Boon of Divine Darshan, Sparshan and Shambashan. Bhagwan out of His immense love for East Africans went to various places in Kenya, Uganda and Tanzania showering His Divine Love whilst granting solace to humans, wildlife and the entire nature. Read the details of Swami’s trip to East Africa here. 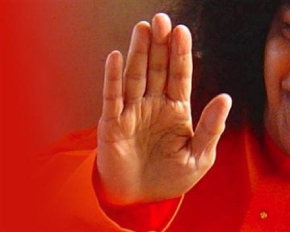 Swami stayed 14 days in East Africa and due to His boundless love even postponed His intended 10th July return journey to India by celebrating Gurupurnima with the East African devotees. Even after I leave Africa physically, (I am always here and everywhere), you must carry on the service you did so long; seek out service and better in more fields. I am entrusting you to the Sathya Sai Seva Samithis of Kampala in Uganda, Nairobi in Kenya, and Dar-es-salaam in Tanzania. Under their auspices, very soon CENTRES of service and training will arise; take those opportunities and prepare for the great task of realizing the God within you, through serving the God, the same God who is in all others, whatever their colour, creed or country. Source- LIGHT OF LOVE – An account of Bhagwans’ visit to East Africa by SRI N. KASTURI – page 124. Thus as per Divine Sankalpa, Sri Sathya Sai Centre – Kenya was conceived. Learn about the history of Nairobi Centre, its humble beginnings, the design, building and installation of the Sarva Dharma Stupa, which is a scaled replica of the Stupa in Puttaparthi, as well as the new building. The photo of the altar at the Nairobi Centre is shown below. All religions teach one basic discipline – the removal of the blemish of egoism from the mind, restraining it from running after trivial joys. Every religion teaches man to fill his being with the Glory of God, and evict the pettiness of conceit. It trains him in methods of detachment and discrimination so that he may aim high and attain liberation. Believe that all hearts are motivated by the one God; that all faiths glorify Him alone; that all names in all languages and all the forms man can conceive denote the same divine principle; His adoration is best done by means of love. Cultivate that Eka-bhava (attitude of Oneness) among men of all creeds, all countries and all continents. That is the message of love, I bring. That is the message I wish you to take to heart. 4th July 1968 in Nairobi (Kenya, East Africa). Swami materialised this Lingam to be placed on the altar of the Centre. He said to give the abhishekham water to the sick and needy. In the year 1998, the study circle group visited Puttaparthi and were blessed with an interview by Swami. During the interview, Swami materialised a lingam which he gave to one of the devotees to place on the altar of the centre. 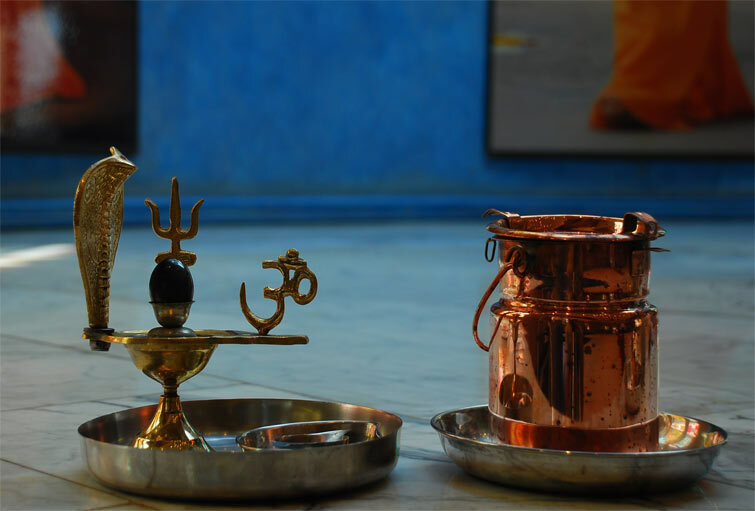 Swami said that the Lingam is a healing lingam and abhishekham water when consumed confers healing properties. Read more about the lingam. 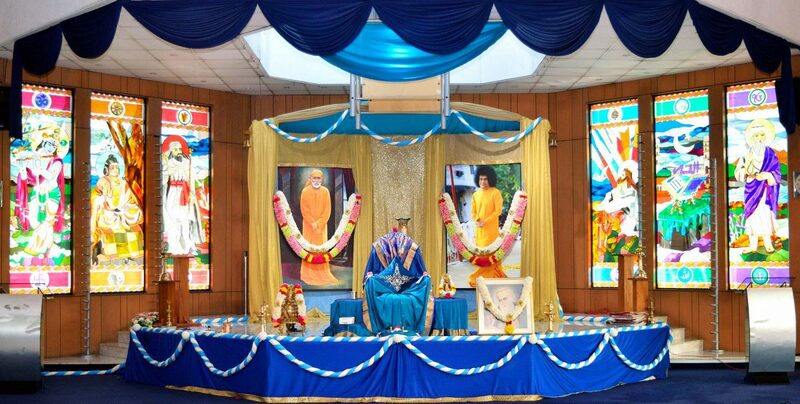 The millennium year marked a new era in the history of Sri Sathya Sai Centre Kenya. The old house was demolished and a beautiful four-story building was constructed with an exact replica of the Sarva Dharma Stupa in Prashanthi Nilayam erected in pink stone. The new Centre has the following facilities: Main Prayer Hall, Meditation Room, Swami’s Apartment, Multipurpose Hall, Bal Vikas Room, Library, Bhajan Practice Hall, Medical and Dental Clinic, Kitchen Area, etc. It also serves as being the Nairobi campus for the TAISSE course. This centre also established the Sathya Sai School in Kisaju in the year 2000. Kisaju is an area about 60km away from Nairobi. The school provides free education including free boarding and lodging facilities for destitute and marginalised children. The school is a Primary and Secondary School. "Haste makes waste; Waste makes worry; So do not be in a hurry."